Disney's Frozen Royal Sisters Gift Set Only $14.39! Down From $45! 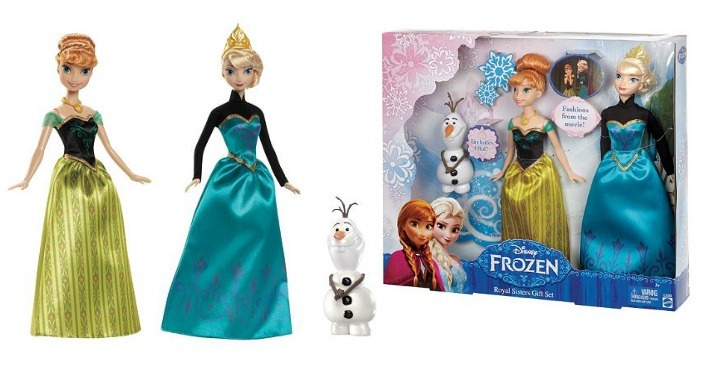 You are here: Home / Great Deals / Disney’s Frozen Royal Sisters Gift Set Only $14.39! Down From $45! Disney’s Frozen Royal Sisters Gift Set Only $14.39! Down From $45! Kohl’s has this Disney’s Frozen Royal Sisters Gift Set on sale for $22.49 (Reg. $45) but you can get it for only $14.39! Final: $14.39 or $7.20 per doll! Final: $15.29 or $7.65 per doll!